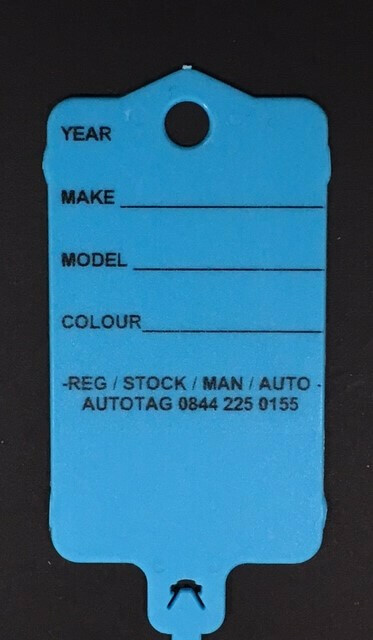 The Autotag Mk II key tag is designed for use in all areas of the dealership. 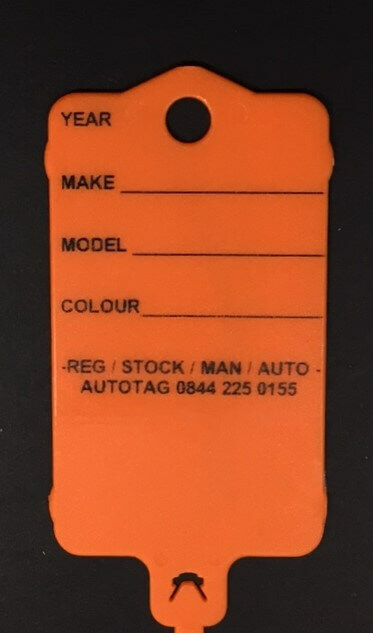 The key tag is attached to the key with a self-looping tail. Apart from the standard workshop/job no./model/reg no. 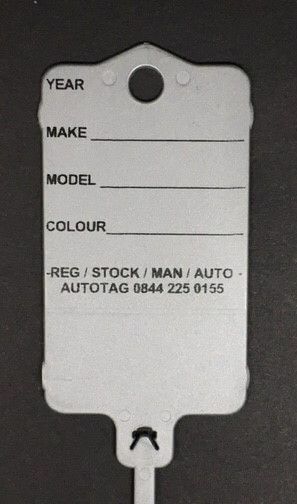 PRINTED format we can supply the key tag in PLAIN or with your own PERSONALISED print (see below). The Mk II key tag is supplied in a handy dispenser box of 200 and comes with 2 high quality waterproof marker pens. 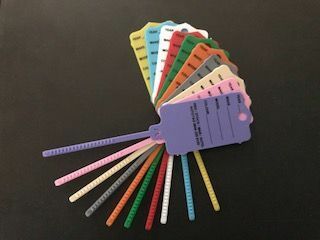 Desktop box of 200 key tags. colour coded plastic key tags. 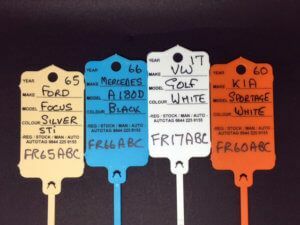 Key tags are durable and easy to attach to keys. With 2 new improved quality black marker pens. Available in 10 different colours – yellow, blue, white, red, green, orange, silver, beige, pink or lilac – PRINTED or PLAIN. 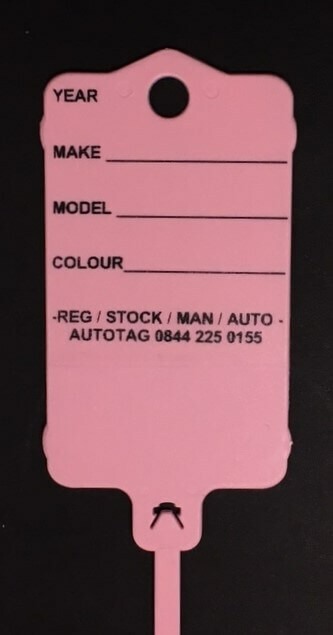 All key tags can be personalised with your own print. Please contact us on 0844 225 0155 to discuss your requirement and to receive a quotation).